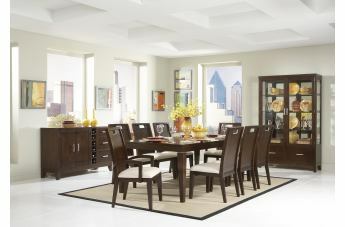 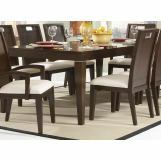 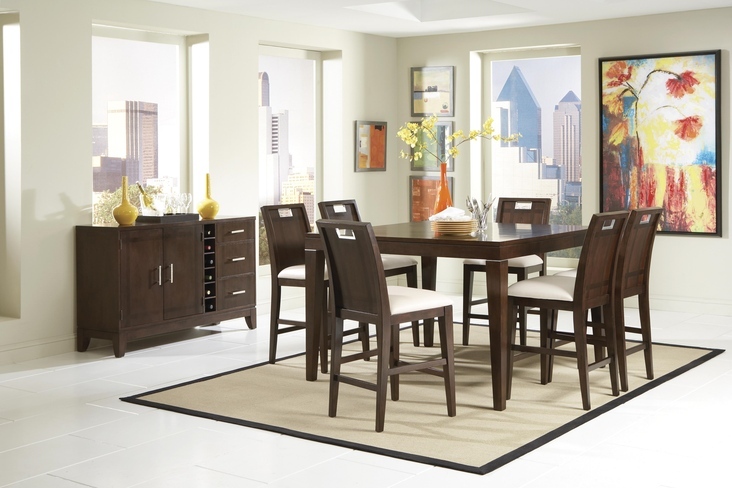 The hard contemporary lines of the Keller Collection by Homelegance are softened by the deep brown finish and inlay veneer pattern on this modern grouping. 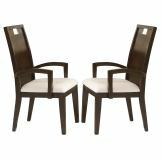 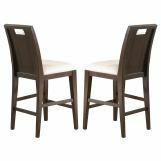 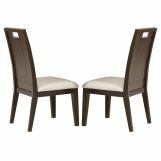 Cut-outs at the crest of each chair are highlighted with brushed nickel accents that are carried over into the design of the table leg. 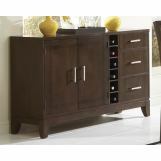 The china curio features glass shelving and drawer storage.